Coach Marc Spataro's Moto Pro Training. Marc Spataro is the founder and director of Moto Pro Training. For the last 17 years he has owned and operated Fitnology Health and Human Performance, one of Baltimore’s premier private training centers. Marc’s passion for working out began at the age of fourteen as a wrestler and recreational motorcycle and atv racer/rider. A graduate from the University of Maryland, Marc holds degrees in exercise and physiology and environmental science. Marc continued his education seeking out certifications in personal training and strength and conditioning, and he is also the co-inventor of the Core Bar, a training device that has been used by professional athletes ranging from football, baseball, ultimate fighting and now atv and motorcycle racing. During these many years of education and working out, Marc has also become well versed in nutrition and the importance of detoxifying the body. As a competitive racer of the GNCC for the last 14 years, Marc has realized that racers would reach a greater potential if given the opportunity to work with a well educated and experienced coach like himself. Marc develops programs based on the individual needs of racers, which are determined through an extensive functional movement screen and evaluation. 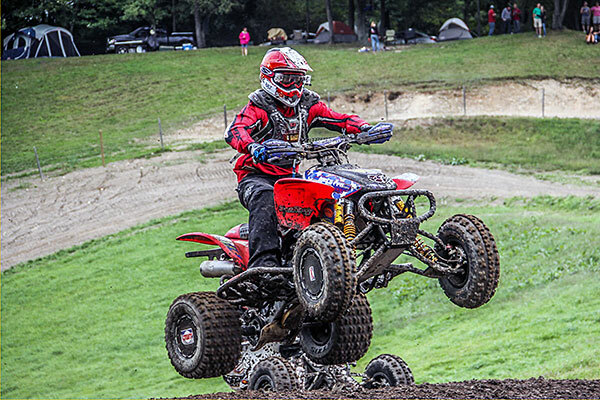 Marc’s goal is to become one of the most recognized training professionals in the world of atv and motorcycle racing, a sport for which he has a true passion. Currently Marc is 45 years old, and enjoys travel and the study of reptiles, Herpetology. All Content, Images, Video, CSS, and Coding © 2019 by Fitnology. All Rights Reserved.